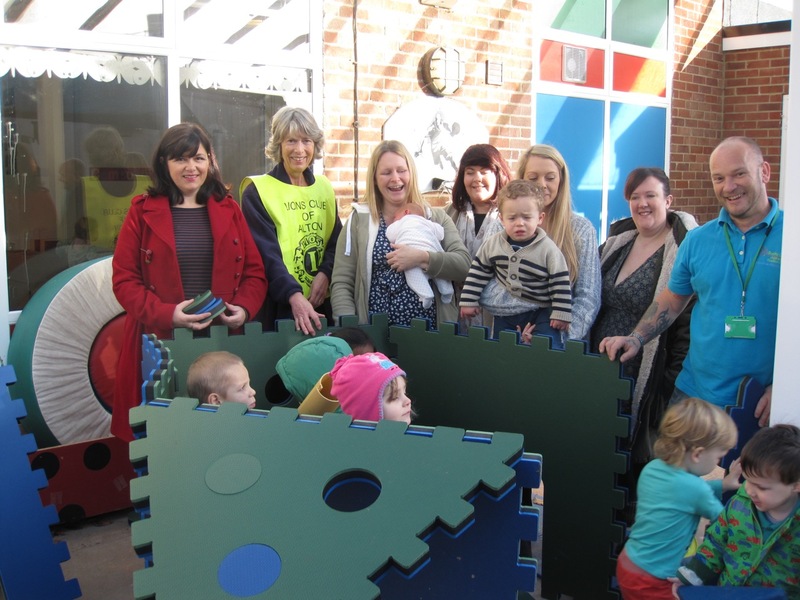 Funds raised by Alton Lions through the ‘Easter Eggstravaganza’ project together with funds from The Cutting Room’ Hairdresser have enable Bushy Leaze Children and Families Centre to buy a Poddley Construction Set. This equipment, which is light, robust and adaptable, encourages imaginative and constructive play in children. Since the equipment is also easily transportable it can be used with the Bushy Leaze outreach work in the surrounding villages. Clare Allen Business Manager at Bushy Leaze commented that the equipment was providing children with a new experience and was already proving to be very popular. Photo shows children and adults having fun including Margaret Willoughby from Alton Lions together with Kathy Ducket, Izzy Swaby and Deborah Messenger from The Cutting Room.